At Advanced Fraud Solutions, our mission is to help financial institutions prevent check deposit, plastic card, and online banking fraud by utilizing a combination of our intuitive web-based software solutions at the frontline and back office. On a daily basis, our innovative fraud prevention tools help financial institutions of all sizes, and in all parts of the country eliminate losses and safeguard their financial assets, providing the level of protection that end-customers demand. 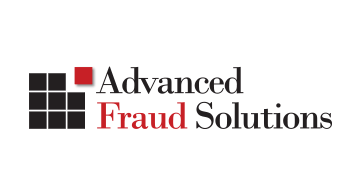 At Advanced Fraud Solutions, we believe the best way to fight fraud is to prevent it.